This beautiful new cart is extra wide, for something a little different. We have been enjoying it on our covered porch, and getting plenty of compliments. 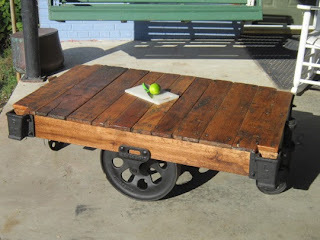 Measuring 30 inches wide, this makes a larger coffee table than the standard cart. Take this one home and enjoy it for yourself!